OK, I didn’t really say that last line, but I wanted to. And I did get the package in the end, thanks to my very kind co-workers who all pitched in to pay the stupid guy. Sadly in my experience I’ve found there are more people like him than those of the courteous & friendly variety when it comes to customer service people in this country. But – and this is a big “but,” there does seem to be a major exception when it comes to people who are starting a new business, namely a food business. These people, who are taking major risks by trying to make a dream come true in an absolutely nightmarish economy, are putting customer service first – and it’s paying off. As well, they are putting everything they have into their products and services and focusing on quality. Recently I’ve sampled some newer Irish food products and have been as impressed with the quality and service aspect as I have been with the products themselves. It’s fantastic to see such dedication and heart in providing something wholesome and good – and to see such a sense of pride in one’s work. 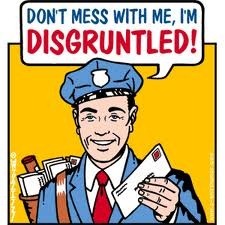 It’s far more than I can say for Stupid Postal Guy. 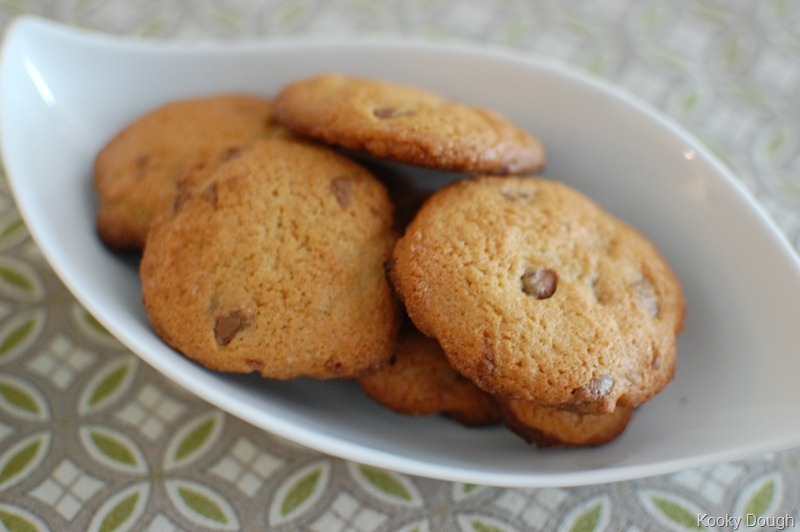 Kooky Dough: While the idea of ready-to-bake cookie dough isn’t particularly new, it’s hard to find really fresh, homemade cookie dough in the shops. Sure you can always get a log of Pillsbury, but I don’t even want to think about how many preservatives go into something that comes from a mega-huge production line like those at the industry giant. Sophie & Graham at Kooky Dough are making cookie dough the same way you or I would if we had the time – with flour, butter, eggs and yummy extras like white Belgium chocolate. The nice folk at KD recently sent me a few rolls to try out, and it’s official: Mountaineering Man is absolutely addicted to the Cranberry & White Chocolate cookies. I love that I can just pull the dough out of the freezer (where I’ve been keeping ‘em), let it sit for a few minutes, slice however many cookies MM wants and then bake. 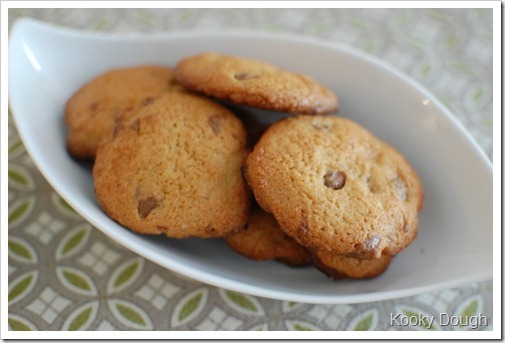 In just 10 minutes, we have a plate of warm, delicious cookies. It also makes the house smell INCREDIBLE! 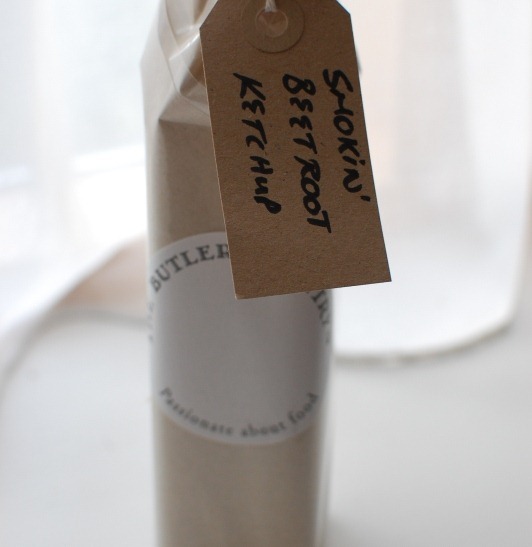 Butler’s Pantry’s Smokin’ Beetroot Ketchup: If you read this blog, you know I am a huge fan of beetroot (or just “beets” as we Yanks call them). 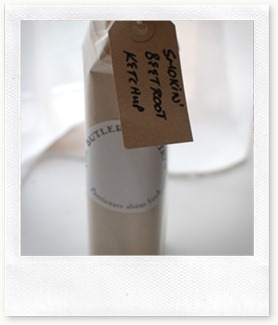 So I was thrilled when Butler’s Pantry sent me a bottle of their Smokin’ Beetroot Ketchu p, a slightly spicy, slightly sweet condiment that goes great with baked sweet potato chips or as a dip for tortilla crisps. It has a hint of chipotle pepper and I’m pretty sure we’re going to run out very soon. I think I might try the last bit over some oily fish or maybe even chicken – it’s proving to be quite a versatile product. Eight Degrees Brewing: It seems like only yesterday that my friend Caroline was talking about how her husband and his business partner were hard at work, trying to transform a big, empty space into a proper brewery. 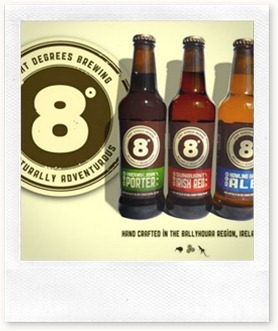 Now, you can get their Eight Degrees beers in a good number of shops and pubs here in Ireland. They really put blood, sweat & tears into this company and its products, and I love seeing it all paying off for them now. I am not even a beer drinker and can say wholeheartedly that their Sunburnt Irish Red is something I could drink a lot of! As I mentioned before, I love beets! Not the tinned kind, but the beautiful fresh beets that I find at my farmer’s market every week. 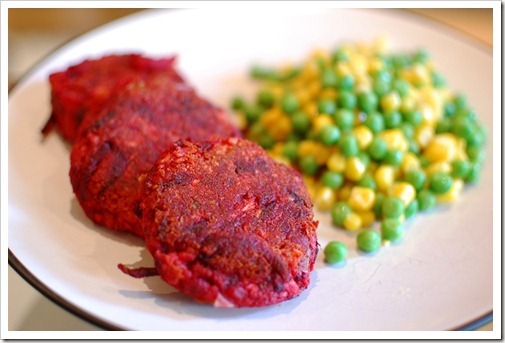 Lately I’ve been experimenting a bit, trying to do something other than soup or just roasted beets, and I revised this recipe for my own version of Beetroot & Cauliflower Patties. Enjoy! In a food processor using the grater blade, shred the beetroot (or you can hand grate it – don’t use a microplane here, you don’t want tiny, paper thin pieces). Empty the beetroot into a large bowl. Using a regular blade in the food processor, pulse the cauliflower pieces until the texture is that of rice. Put the cauliflower bits into the same bowl as the shredded beetroot. Take the baked potato (with or without the skin – entirely up to you!) and mash into the bowl along with the beetroot and cauliflower. Add in the egg and Harissa paste and season with salt and pepper. The mixture should be quite stiff; if it’s too dry, add in one more egg, but I didn’t need to do this. Using a large soup spoon, scoop out a portion of the mixture and then roll it into a ball using your hands. Flatten into a patty, and place on parchment paper. Continue doing this until all the mixture is in the form of patties – I got a dozen small-sized patties from this mix. Heat the oil up in a large sauté pan of medium-high heat and carefully place the patties into the hot oil. Cook for 3-4 minutes on one side and then flip and cook for another 2-3 minutes on the other side. You’ll likely have to do this in batches, so keep the cooked patties warm in a 100 C degree oven. 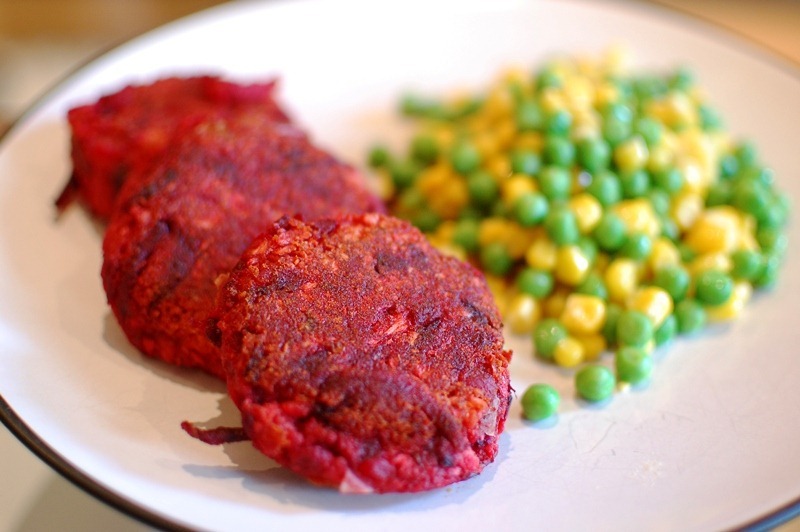 There will be a slight crunch from the beetroot in the cooked patty – if you prefer it to be softer, just cook a bit longer or bake off in a 175C oven for 10 minutes after you fry. Those patties would be delish with goats cheese … I really need to get a food processor! Can’t believe that delivery man (although really I can!) customer service is really not Ireland’s strong point and something I am always getting mad about too .. its so much easier to be nice to people, why would you be mean?? Beyond me!! If it makes you feel better, I once had to pay customs on a box of Christmas presents my mom sent me! Unreal. Ha! 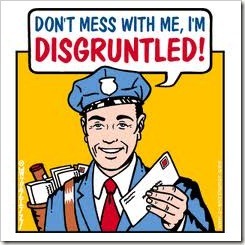 that exchange between you and the postal worker is classic (and made me frustrated just reading it!!) 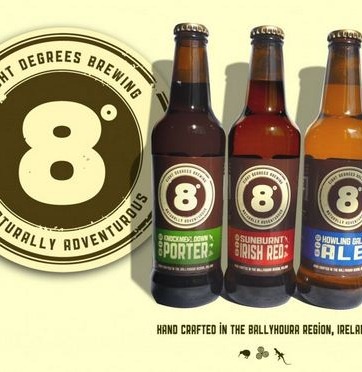 That 8 Degrees sounds delicious and interesting- Will definitely be checking that one out the next time we’re in Ireland! What a great blog, so glad I found you! I love the recipes and YES I agree – our customs are A******S!!! An American in Ireland is powered by	WordPress 4.5.17 and delivered to you in 0.333 seconds using 45 queries.